In the previous parables, Jesus used “earthly” things to explain “hidden” truths about God’s Kingdom. In these two parables, He is going “inward” also. In the parable of the treasure, a man found a treasure in a field and hid it again. Why? He didn’t own the field yet. He had to purchase the field in order to gain the treasure. The field belonged to someone else at this point. This Man knew that the present owner didn’t know the treasure was there. The one who didn’t know the treasure was there is the devil. Jesus had to purchase the field of earth and its inhabitants by His shed sinless blood before He could find His treasure in earthen vessels (believers). A treasure is something you cherish. There were treasuries in the Temple where the gold, silver and furnishings of the Temple were put in the storehouse. (see 1 Kings 7:51) The storehouse in the NT is the Church. The parable of the treasure speaks in many ways. Man - is Jesus. This Man is laboring, finding and purchasing. Jesus seeks and saves those who are lost. He is laboring through His Church to bring others to Himself. 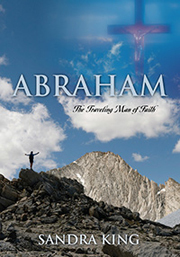 The Man comes across a treasure in a field accidentally as he is digging in this parable. It is by digging into the Word of God that we find these hidden treasures of truth that will bring us to a closer walk with Jesus. In the parable of the Pearl, the Merchant is seeking, finding and purchasing. Jesus is the Merchant as well. The treasure is found in the earth but the pearl is found in the water--sea. 1) Jesus -- This Treasure is Supremely in Christ. Colossians 2:3: …so that they may have the full riches of complete understanding, in order that they may know the mystery of God, namely, Christ, in whom are hidden all the treasures of wisdom and knowledge. The reality of Jesus was hidden in the Older Testament and revealed in the New. He is God’s hidden treasure who will redeem the world. (see Ephesians 1:9) Jesus “came to His own but His own received Him not.” John 1:11-12 Jesus came through a Jewish woman to redeem Israel first, but the majority of the Jews rejected Him. Those who love and follow Jesus are His hidden treasure on earth. Israel was also to be God’s treasured possession. Israel was hidden in the mind and heart of God long before she became a nation. God had chosen Israel as His treasured possession out of all the nations of the world. God told Moses to tell the Israelites in Exodus 19:5 if they “obeyed Him fully and keep His covenants, then out of all nations they would be His treasured possession. Although the whole earth is mine, you will be for me a kingdom of priests and a holy nation.” Israel was “lost” but “found” by God also. Jesus came to redeem Israel as well as the Gentiles. Those who love and serve Jesus are His treasured possession. A treasure is something that is cherished. God cherishes those who love and obey His Son whether Jew or Gentile. God speaks about Jerusalem’s condition in Ezekiel 16. Jerusalem was called Jebus and was a Canaanite City controlled by Satan, sin and abominations. Jebus was despised. It had no life, no cleansing, no preservation (salt) or clothing. But God saw Jerusalem kicking in her own blood and He said to her, “Live!” “I made you grow like a plant of the field. You grew up and developed and became the most beautiful of jewels. Your breasts formed and your hair grew, you who were naked and bare.” Vv6-7 God picked Jerusalem up and spoke life into her. Then He nurtured and matured her until she was ready for love and a commitment with God. Her hair grew. Hair represents God’s glory covering. Jerusalem as she grew was covered with God’s glory. “Later I passed by, and when I looked at you and saw that you were old enough for love, I spread the corner of my garment over you and covered your nakedness (sin). I gave you my solemn oath and entered into covenant with you, declares the Sovereign Lord, and you became mine.” V8 In other words, God wedded Jerusalem and covered her with His garment of righteousness. He made a covenant oath of marriage to Jerusalem. She belongs to God. Jerusalem is where the Temple of the Lord was built and where the King resided. She also symbolizes a follower of Christ whose heart is the Temple of the Lord and whom God is maturing.